With thousands of rental properties nationwide, Your Move has a wealth of experience when it comes to looking after tenants. At Your Move, you can search for rental properties from Inverness to Plymouth and My Move allows you to save your search criteria and favourite properties to help you find your perfect home. Once you've moved in, we can help protect your belongings and your family with contents insurance and critical illness and income protection designed specifically for tenants. Plus, our Tenants Portal lets you access everything relating to your rented property 24/7 including your documents, details of your rent paid and a to do list. If you're renting for the first time we've done a handy first time tenants guide to help you through the process. We want to get to know you, to understand what you’re looking for now and in the future. Once we’ve found you a property, we’ll talk you through all your responsibilities in caring for that property and explaining both ours and the landlord’s responsibilities. We want you to understand everything involved when renting the property to ensure your time spent there is happy and stress free. And when the time comes to move out, we’ll be there to talk you through your next steps too. We’ll keep you up to date on new properties. There’s a lot of competition for good rental accommodation, so you want to make sure you’re the first to know about new properties. When a landlord asks us to rent out their property, we list it on our website within 24 hours. In addition, we immediately email all our interested tenants so the property is waiting in their inboxes first thing the next morning. Register with Your Move to be the first to know about properties you’ll love. We’ll keep your deposit safe. We will hold your deposit in an accredited tenancy deposit scheme such as My Deposits. This means that your money is safe and protected, and you’ll have independent assistance if you should need to settle any disputes at the end of the tenancy. We are also able to offer Client Money Protection (CMP), which provides compensation for tenants and other clients when agents misuse or misappropriate their deposit or any other client funds. Your Move Client Money Protection is provided by Propertymark. Not all letting agents are regulated. We are. Unlike the majority of letting agents, Your Move are members of an accredited regulatory body. ARLA (The Associations of Residential Lettings Agents) is dedicated to protecting consumers by improving standards and professionalism within the lettings industry. For you it means a service you can rely on for complete security. We have a dedicated lettings hub. What if you have a maintenance issue with the property and you need to speak to someone outside of office hours? No problem. We have a dedicated lettings hub who you can contact whenever you have a problem. They’re experts when it comes to rented properties, so help to keep your experience stress free. You’ll want to sort out contents insurance to ensure your belongings are covered should anything happen to them during your tenancy (your landlord will look after the buildings insurance). We can help with that. Our Tenant Portal is a free online tool for Your Move tenants to log in and access all the information relating to their rented home. 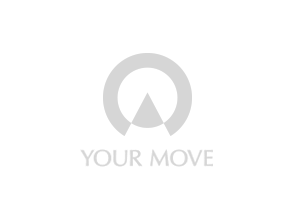 Your Move is the largest single branded letting agent in the UK. So you know we’re a name you can trust. Rated excellent on TrustPilot, creating great renting experiences is at the heart of what we do.